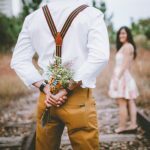 BiCupid Reviews - Is this dating site worth it? 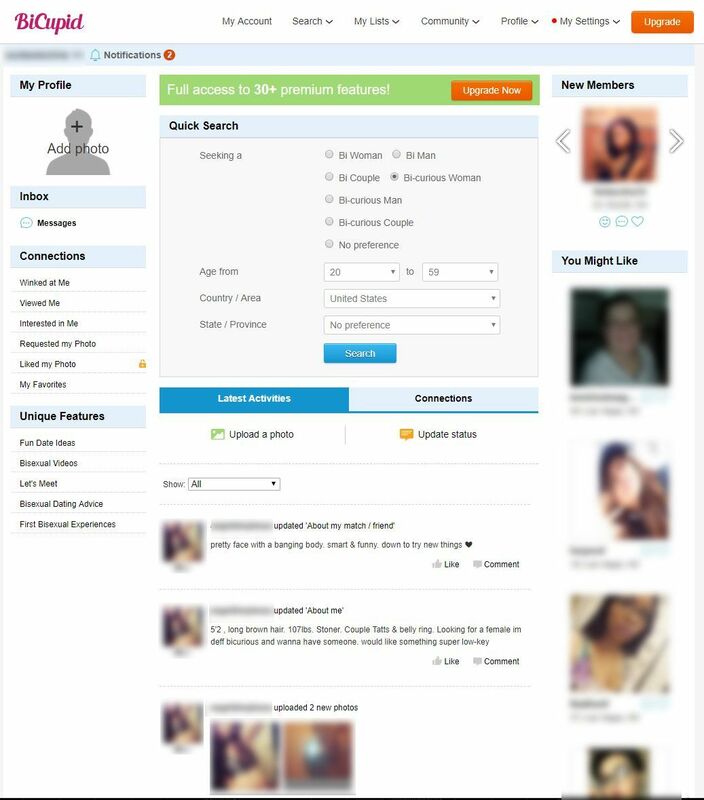 BiCupid Reviews – Is this dating site worth it? With just under 1.3 million members and growing the last time we checked, BiCupid is clearly the premier online dating site for bisexual singles. Well, at least that’s what we had heard from a lot of people. As much as we want to trust everyone, we want to figure out these things for ourselves. To figure out if BiCupid lives up to its awesome reputation, we set out to thoroughly review the site from top to bottom. In our BiCupid reviews, we worked through a lot of information. Our main goal is to find out whether or not this dating site is worth your time, money, and effort. 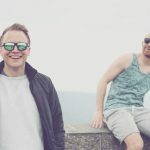 We took a look at the sign-up process, the quality of the singles on the site, the features and usability of the site, their customer service, and the price of a membership. We put all of this together to finally answer the question of whether or not BiCupid is worth it. If you’re ready to see how our reviews went, let’s dive in! The first thing we always look at in our reviews is the sign-up process. We want to know how easy it is, how much they require us to do, and if there is anything important that someone thinking about trying out the site needs to know. The total process for us took about five minutes, and we opted to use the slower manual sign-up process. Overall, the sign-up process was simple and had us looking at matches in under five minutes. When you get to BiCupid, you’re given two options to sign up. You can use the faster Facebook method, or you can choose to do things manually. We always opt to do the manual sign up, but it’s up to you. For those of you that are wondering, you’ll notice in the screenshot below that BiCupid will never post to Facebook. 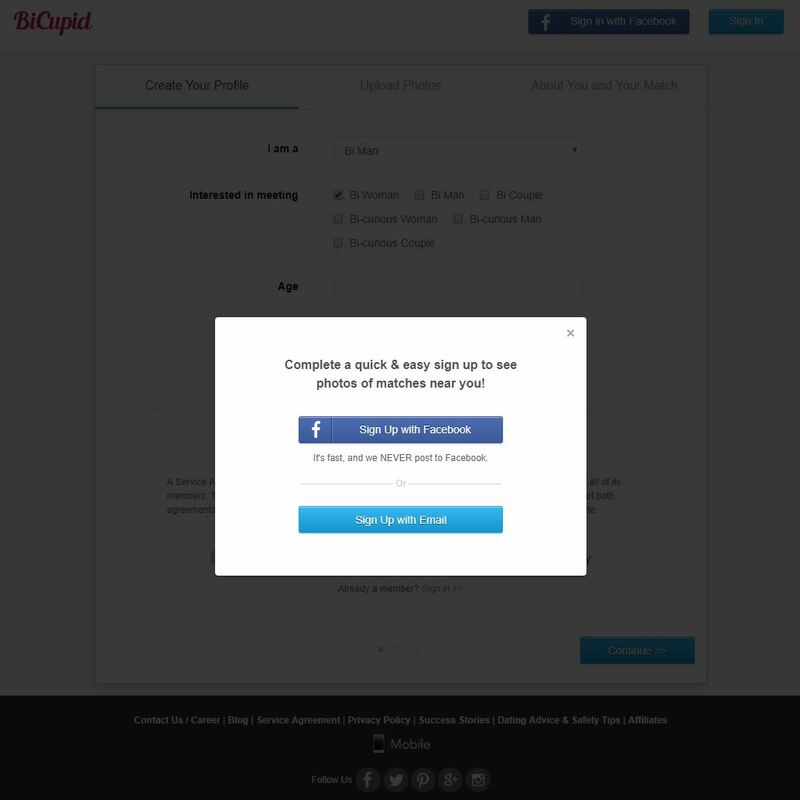 When you go through the sign-up questions on BiCupid, they will ask you for a phone number, but it’s completely optional (even though it doesn’t say that it is). You’re also given the option to upload profile photos if you want or you can opt to take care of that later after you’ve had a look around. The one thing you should be aware of is that BiCupid does have a few things you have to fill out that aren’t multiple choice that they require. These are your profile headline, About Me, and About My Match/Friends. The minimum is only 50 characters for each, so they aren’t going to require you write a complete novel. 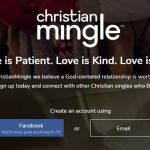 If you do need some help with these sections, we do have an awesome guide on how to write the perfect online dating profile complete with examples to help. Are there good, quality matches on this site? During our reviews, we’d have to say the most important thing that we look at is the quality of singles that a site has to offer. With just under 1.3 million members on BiCupid, we knew that quantity wasn’t going to be an issue at all. What we would need to review is the quality and activity level of the members on the site. We ran some test searches, and we were very pleased with the quality of the singles we say on BiCupid. There were a lot of attractive, interesting, and genuine people. Sure, this is going to be something that is up to your interpretation but based on reading through a bunch of different profiles we felt like there was a lot of quality for everyone. What we do recommend if you’re curious about the members is to take advantage of the free trial links on this page and see things for yourself. It doesn’t cost you anything to look around, and you’ll have your free trial account set up in less than five minutes. With niche dating sites, you never really know what to expect, but we were pleased with what we saw during our reviews of BiCupid. The only thing we’d like to see is them possibly look into pushing more people to have pictures on their profile. There were a decent number of profiles with no photos. Luckily, if you upgrade to a paid account, you can filter through the profiles that have no photos which make this a non-issue. 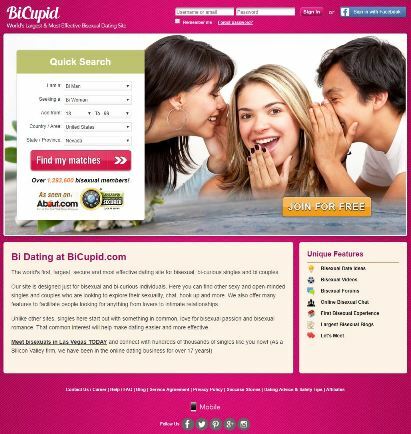 Overall, we were pretty excited about the quality and quantity of bisexual singles on BiCupid. This includes both men and women which there seemed to be a pretty even split of. Our reviews usually take a turn for the worse when we get to the “how easy is this site to use” section because we’re picky. We feel that an online dating site is practically worthless if you can’t easily find your way around. So, did BiCupid fall victim to our vicious reviewers? Nope! BiCupid was well-laid out and super easy to navigate. We were able to find matches quickly, easily sort through profiles, and get to everything we needed without having to dig for days. Here’s what your main member area looks like. You’ll notice that a lot of things are blurred out. This is not what it will look like when you create your BiCupid account; we only do this because we don’t want to share any real members information without their permission. Here’s what a standard profile looks like on BiCupid. 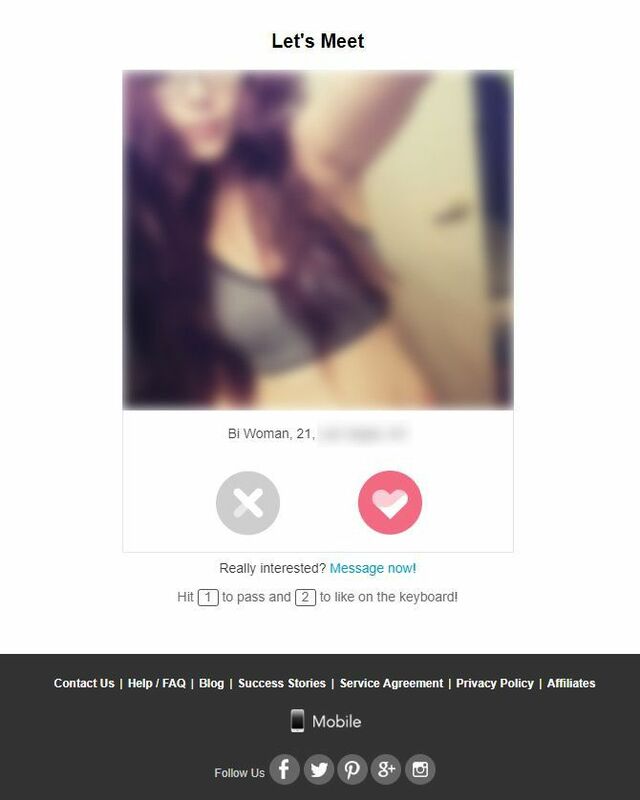 Again, we’ve blurred out the photos and the identifying information as this is a real screenshot of a real active member. The information that you’ll see on a profile includes the following. For most of these, you’ll be able to put in your information and what you’re looking for in your potential match. Almost all of these questions about you or your match are optional. The only ones that are mandatory are the About Me, About Your Match, Height, Ethnicity, Age, and what you’re looking for. The one thing we do want to point out is that a lot of the great search functions that we saw during our BiCupid reviews are only available as a paid member. You do get access to some of the search features during your free trial, but things get WAY easier when you upgrade your account. You’ll see if you navigate over to the search area of BiCupid during your free trial that a lot of the criteria have small pictures of locks by them. These are the criterion that you’ll unlock when you upgrade. Here’s a screenshot of what we mean. Within each of these, there is a drop-down menu with options to choose from. Features wise, BiCupid has a few different things that we want to draw your attention to. 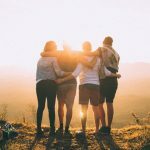 Overall, the site has quite a few great features – some standard that you see everywhere and a few unique ones that not everyone in the industry has. Here are a few of our favorites from our reviews. The first feature we liked is known as the Let’s Meet feature. Here’s what it looks like (we’ll tell you what it is below). The Let’s Meet feature on BiCupid was one of the coolest parts of the review. It’s a swipe left/swipe right kind of feature that allows you to quickly see a bunch of matches and quickly express interest. If you see a match you like, you click the heart or press the 2 button. If you see a match you aren’t interested in, you press the X or the 1 button. What BiCupid does is shows matches to all members. 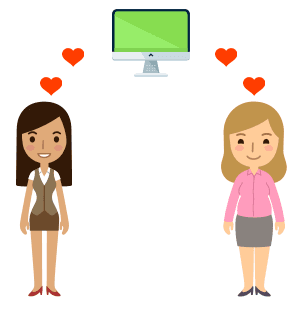 If you say that you are interested in a member and they say they are interested in you through the Let’s Meet feature, the site will let both of you know that there is a mutual match! Then, you can reach out and get in touch with someone that you already know is interested in getting to know you. The feature is available as part of the free trial as well! The only requirement is that you upload a picture before you use it. This makes sense as all they show you on here is a picture, what you identify as (bisexual woman, bisexual man, bicurious, etc. ), your age, and your location. It would be silly if you were flipping through a bunch of these with no pictures. BiCupid has a few different matching functions that they offer to their paid members only. These include the ability to see your compatible matches as well as reverse matches. Reverse matching is an algorithm that the site uses to search for matches for you using matches that are looking for the same thing you are. Sometimes these matches are a great fit, and sometimes they aren’t. Regardless, it’s a cool and creative feature to get more potential matches in front of you. Our reviews are never complete without taking a look at what the site has to offer for the times you’re having trouble. Hopefully, you’ll never need the customer support with BiCupid, but it would be nice to know that they have things in place in case you do. Our BiCupid reviews show that the site has an extensive Frequently Asked Questions (FAQ) section, a contact form page, and some social media options for you to get in touch with them. UPDATE: We actually found a customer service number buried on the payment page. The customer support number for BiCupid is 1-416-628-1072. We’ve updated our review star ranking to reflect this. 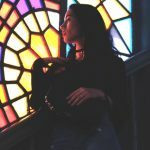 Price | How much does this dating site cost? Below, you’ll find the most up to date pricing and costs associated with a BiCupid membership. Each of these memberships is charged as one total payment upfront. The 6-month membership comes out to $95.95 total, and the 3-month membership comes out to $59.95 total. The 1-month membership is $29.95 since it is only for one month. Payment options include credit/debit card(VISA, Mastercard, or AMEX), PayPal, or Bank Check/Money Order by postal mail. Yes, you can mail in a check if you’d like. Regarding renewal of your membership, the 1-month membership is set up to renew automatically. If you don’t want this, you can easily set it not to after you purchase your account. The 3 and 6-month memberships are NOT set up to automatically renew. Always check with the site, though, just to make sure things don’t change before we have time to update our reviews. 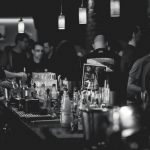 The million dollar question you probably are here to find out is, “Is BiCupid worth it?” Our honest opinion is that BiCupid is DEFINITELY worth it if you’re curious, looking to experiment, or want something that will start out less serious. If you’re looking for a more serious relationship, you may still have some luck on BiCupid, but you may have better luck on a more mainstream online dating site. Honestly, for the price for this sort of niche site, it’s definitely worth it. What we recommend is that instead of taking our word for it, you take advantage of the free trial link below and see for yourself. It only takes a few minutes to get signed up and you’ll be able to quickly see whether or not the site is something that is worth your time and money. We think it’s certainly going to be, but the only way you’ll know for sure is if you check our BiCupid yourself!